THIS five-member boy band, has arguably come the closest to emulating the Beatles’ mass popularity. 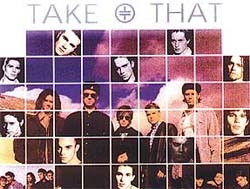 Conceived as a British answer to New Kids On The Block, Take That initially worked within the same territory as their American counterparts, singing laidback R&B, mainstream pop and urban soul. 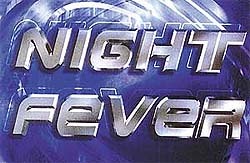 Eventually, the band worked its way towards Hi-NRG dance music. They have notched up more sales than any other British artistes since the Beatles, and this two-volume Greatest Hits compilation has all their best-known numbers. Most of the tracks on this 34 smash-hit catalog have been extremely popular in the early nineties. The collection includes Relight My Fire, Back For Good, How Deep Is You Love, Pray, Everything Changes, All I Want Is You and Love Ain’t Here Anymore. A few exciting moments come in the form of two cover samples — one Beatles Medley, covering tracks like I Want To Hold Your Hands, A Hard Day’s Night and She Loves You, and the other, Rock N’ Roll Medley, featuring such hits like Born To Hand Jive, Great Balls Of Fire and Teddy Bear. From the high energy rush to It Only Takes A Million Love Songs to the band’s heartfelt rendition of No Si Aqui No Hay Amor, this is a well-trodden walk down memory lane. A collector’s item. It’s all here. 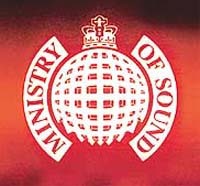 Every trance track you’ve cherished and danced along with, is included in this Ministry Of Sound offering. Just look at the list of tracks and you will not find a track that’s not worthy of being there. Dance Protocol matches the content rich The Annual (the best selling dance series of all time). The latest album is bursting at the seams with the year’s most mesmerising records. Kevin Grainger takes control of the album, unleashing a seamless remix of Yug’s You Don’t Really Love Me by E Saint Laurent, Wosp’s Getting Into U, Brother Brown’s Star Catching Girl (Darren Emerson Underwater Mix) featuring Frank’ee and Mount Rushmore’s This Is Our Life (James Doman Extended Mix) presenting Emma Holland. Dance Protocol delivers a treasure chest of dance-floor gems, including Shannon’s number one smash hit Let The Music Play, Jakatta’s American Dream (Lucid Remix), Lil’ Devious’ Come Home, Ost Witness’ two hit tracks Did I Dream (DJ Tiesto Remix) and Red Sun Rising (Lange Mix) and the current dance anthem How U Like Bass? by Norman Bass. Club classic Phreaq’s Falling is contrasted with Lexos’ The Key, with amazing results. This album promises to give you one of the best clubbing experience you’ll get in the comfort of your own home. Destiny’s Child can ‘survive’ any treatment done to their songs. No jokes, this remix album is a powerhouse that has passed through the most rigorous tests done by some of the world’s best mix-masters. The album can also be labelled a mini greatest hits album for featuring most of the significant moments of the Destiny’s odyssey. Showcasing performances from all eight line-ups of the band, it comes across as a filler before their next assault on the music charts. 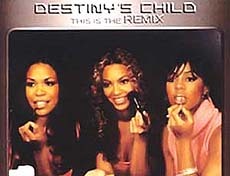 Rockwilder’s Missy Elliott assisted mix of Bootylicious and The Neptune’s re-do of Emotion show why Destiny’s Child is a million-selling, award-winning and chart-topping hit machine. No, No, No Part2 and Independent Woman Part2, surprisingly make their third respective appearance on a Destiny’s album. The trio’s true magic can be found with the Timbaland remix of Say My Name, Da Brat’s extended version of Survivor, the dirty beats of Refugee Camp mix of Bug A Boo and Maurice’s Nu Soul Radio Mix of Nasty Girl. As a bonus track the album offers a preview track from Michelle William’s upcoming solo album Heard A Word. Other chart-toppers include Jumpin’, Jumpin’ featuring Jermaine Dupri, Da Brat and Lil Bow Wow, ‘Poppi’ McCalla’s addictive mix of Dot and Maurice’s soul remix of So Good. Worth listening to. Finding your way through the dance hits on this dance compilation demands stamina. There’s no time to catch your breath as the album weaves 16 club shakers into this energy-packed album. The moods are electic, sweeping from Hisham Abbas’ Nari Nari through to Gloris Gaynor’s I Will Survive. The range is wide — slow dance, drum ‘n’ bass, trip hop — but a common thread that connects the different numbers is a concern for detail. With Tarkan’s Sikidim, Faithless’ We Come 1, Takfarinas’ Zaama Zaama and LFO’s sensational Every Other Time included, the hooks to lure the casual dance browser are also here. Some of the most popular dance floor numbers in the album include Let’s Dance by Five, You’re My Mate by Right Said Fred, The Sign performed by Ace Of Base, All I Want by La Bouche, Gentleman by Lou Bega, Cartoon Heroes by Aqua and Boom Shack-A-Laka by Apache Indian. An entertaining team effort. No one since Kurt Kobain has raged so articulately, no one since David Bowie has played with his persona with more intelligence and confidence, and no one since Snoop Dogg has been on more parents’ hit list, as Eminem. The third album opens more doors to Em’s personal life. Eminem Show features the usual cast of characters — his ex, his daughter, his mother, and everyone else who has dumped him lately. 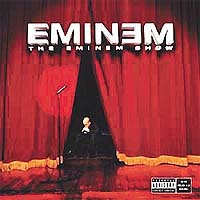 The better part of the album is preoccupied with The Marshall Mathers’ fame and family situation. Eminem’s superstar status has created a lyrical conundrum. He sums-up the story of his success with White America — "Let’s do the math, if I was black, I would have sold half." Dr Dre is still on board as executive producer, but the hip-hop mastermind has spiced-up Eminem’s repertoire with some rock riffs alongside the usual synth beats, including a sample of Aerosmith’s Dream On in Sing For The Moment. There is also Without Me, where the rapper welcomes himself back to the game, proclaiming, "it feels so empty without me." Square Dance, meanwhile, mounts a slightly muddled attack on the war against terrorism, with Eminem declaring the plans to "ambush the Bush administration" but concluding, "I say Hussein, you say Shady." Say Goodbye To Hollywood is a bouncy summery track and Drips, a duet with Obie Trice details a disgusting but funny love triangle. The biggest impression on his life is expressed in a heartfelt song for his daughter Heilie’s Song, in which he sings about his love, and is reminiscent of his last rap ballad Stan from The Marshall Mathers LP- "My baby girl keeps getting’ older, I watch her grow up with pride. People make jokes cuz they don’t understand me/ My insecurities could eat me alive. But then I see my baby, suddenly I’m not crazy. It all makes sense when I look into her eyes." In Cleanin’ Out My Closet, he unleashes an astonishingly corrosive torrent of hatred towards his parents, saying "I’ve got some skeletons in my closet / and I don’t know if no one knows it." The album features a number of guests, including Nate Dogg, Xzibit, D12 and the most prominent of them all — Em’s daughter Heilie Jade Mathers who sings the chorus on My Dad’s Gone Crazy, marking her first vocal appearance since the early ’97 Bonnie and Clyde (Just The Two Of Us). Crazy is another great track where Em’s rhymes start to show signs of evolving as opposed to simply off-loading past burdens. 1. Name the guitarist Noodle replaced in the current hit band Gorillaz? 2. What is Kid Rock’s real name? 3. Before singing for The Time, in which band was Morris Day a drummer? 4. What is the latest album by David Bowie called? 5. Name New Edition’s debut single. 6. Who originally did the song Oi To The World that No Doubt covered? 7. What movie did Digital Underground appear in? 8. Which Eagle Eye Cherry song was featured on the soundtrack of the motion picture Go? 9. What was Puff Daddy’s original rap name? 10. Which Who member recently died of a heart attack?